Marc Cain adds more stores to its portfolio. Marc Cain recently opened their 150th store worldwide, at Napean Sea Road, Mumbai. A high-end luxury brand, Marc Cain plans to expand its retail footprint in India in the coming few years. 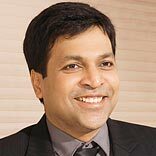 Punit Agarwal, Founder and Managing director, VEMB Lifestyle India Pvt. Ltd and owner of Marc Cain franchise stores in India talks to Sweta Pal about the increasing market for luxury shopping in India. Sweta Pal (SP): How has the India journey fared for Marc Cain? Punit Agarwal (PA): VEMB Lifestyle which is the parent company has a two way relationship with Marc Cain as we manufacture products for Marc Cain. Since there is mutual trust that we have developed over the years with the parent company in Germany, we decided to get the brand to India in 2007. For Marc Cain entering a completely different company like India was a very challenging task and it was convenient for them to choose VEMB as their partner as they were already well versed with the company policy and working structure thus being an easy choice to trust. Similarly for us, Marc Cain was an apt choice considering we already have good knowledge about the products, fabrics, designs etc. SP: What sets Marc Cain apart? PA: Marc Cain is a German high end luxury brand for women’s clothing. The collection consists of apparel, accessories and footwear ranging between INR 5000- INR 40,000. The doctrine of Marc Cain sets the highest standards for design, quality, materials, the latest production techniques and correct fit. The innovative spirit and distinctiveness of Marc Cain’s product lines are based on the German production facility. There are two sub labels-Marc Cain Collections, the key label that combines glamour with contemporary styles; and Marc Cain Sports, which is more casual and trendy. SP: Tell us about your expansion plans in India? PA: The company has definitely made some progress by opening three stores in India and plans to open at least five more stores in the next 12-18 months. Considering that Marc Cain is a luxury brand with high price points, these stores will be opened in major metros like Delhi, Bangalore, Hyderabad, Chennai etc where there is a good understanding of style and fashion and also people have the buying power for such expensive clothing. The company has a well-paced plan which it is already working towards and we see a 200% growth from our stores. Also, we prefer locations on high streets as it serves a multi-fold purpose for marketing and makes it a destination shopping. On high streets, one can capitalize on the moving and premium quality crowd and window shoppers too. In a shopping mall, though the consumers have choice, they are confined to one particular area and this may or may not lead to purchase. For a brand to be visible, it is necessary that that the mall is located at a prominent street with lots of other known brands which will indirectly boost sales. SP: What is the investment planned for this? PA: Each Marc Cain store has the same feel and similar décor but the store sizes and areas may differ. Considering this, we would have to put aside anything between Rs 5-8 crore per store that we open depending on variable factors like real estate rates, store sizes etc so we have put aside Rs 25-30 crore for the same. SP: What marketing strategies are being used? PA: We have been focusing our efforts on fashion magazines and in store promotions. Advertisements in all leading fashion magazines help us to generate visibility about our brand and the collection we display every season. We spend 25% of our sales on advertising. In store promotions is a great way to engage with consumers as this helps us generate maximum visibility and catch eyeballs amongst our target audiences. Collection launches with celebrities and previews have also got us a lot of mileage in the past. We have seen a nearly 50% jump after events, in store promotion parties with celebrities and consumers alike. We recently launched our spring and Summer 2013 Collection, which took place at our new store with the bollywood tinsel town and other socialites in Mumbai who made the event a grand affair. Store launches over wine and cheese parties have worked wonders for us. Besides this, social networking too plays a key role in order to maximize brand reach. The parent company has an active twitter and facebook page which helps people aware of the latest collection on Marc Cain and the new fashion trends in the industry. SP: How are the products customised to suit the Indian market? PA: In terms of our merchandize, we do not customise our products as the products are sourced directly from the parent company in Germany. There is a set standard in terms of the quality and design while sourcing from our parent company in Germany and we bear in mind to provide the same quality and design to all our shops and franchisees all over the World. However, we do keep in mind the latest fashion trends, the weather, location etc which suits the Indian market. SP: Please tell us about the store design and décor. PA: The furniture is sent by the parent company from Germany in order to maintain the same look of the store worldwide and have similar standards worldwide. Our latest store at Napeansea Road, Mumbai, is designed with a modern concept providing a classy ambience due to its exclusive interior design. This warm and precious appearance is given through the dark parquet floor and the shiny metallic walls coloured in champagne. Our customers appreciate the minimalistic design and concept.